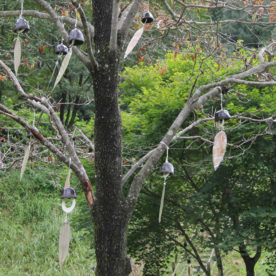 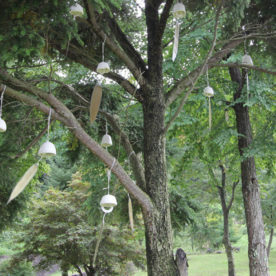 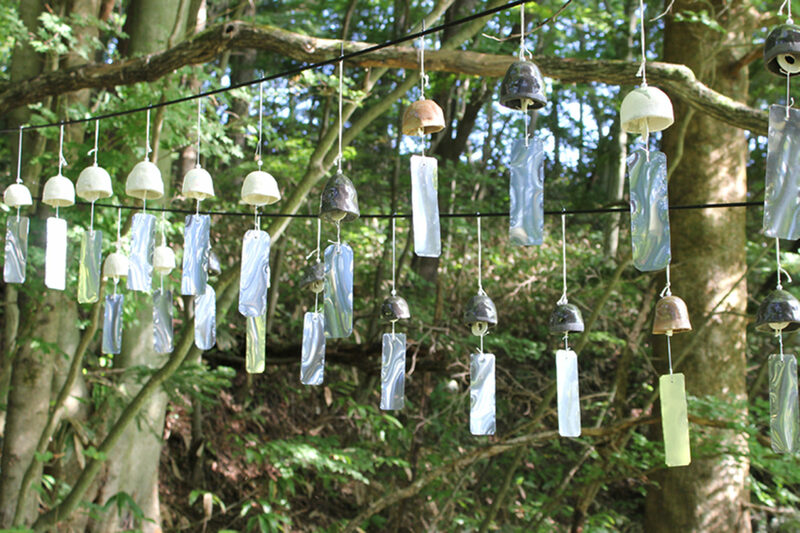 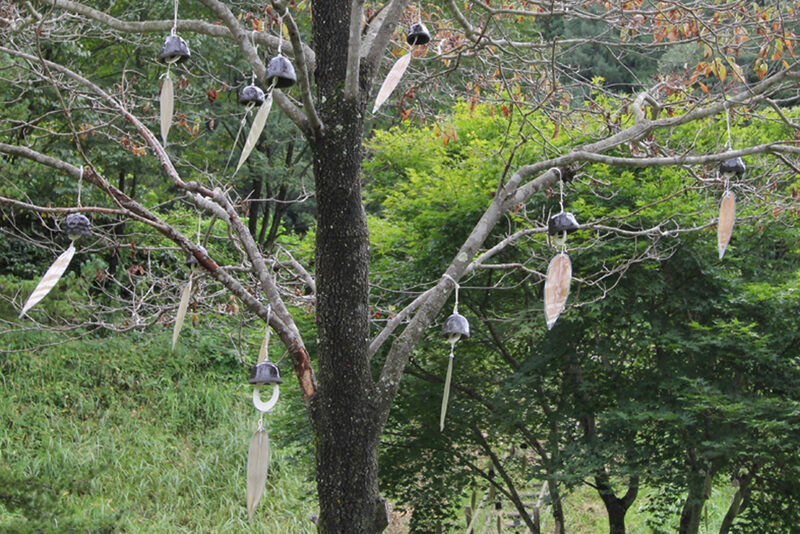 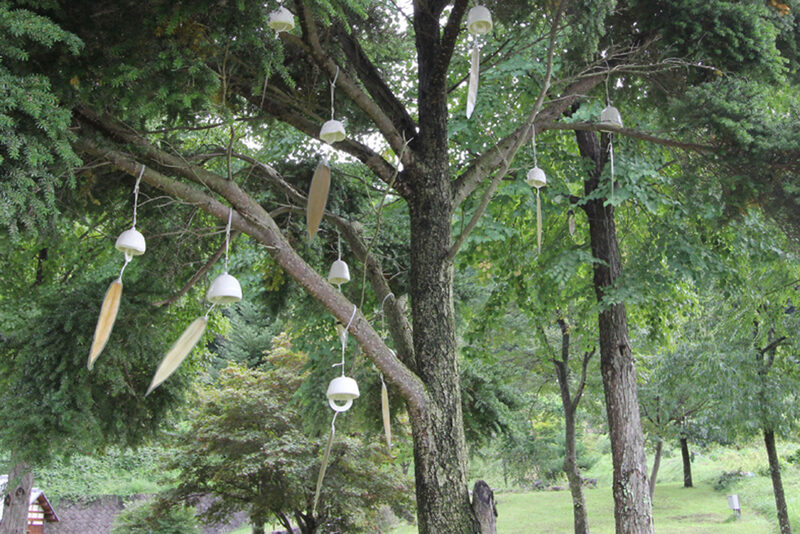 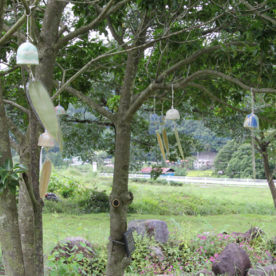 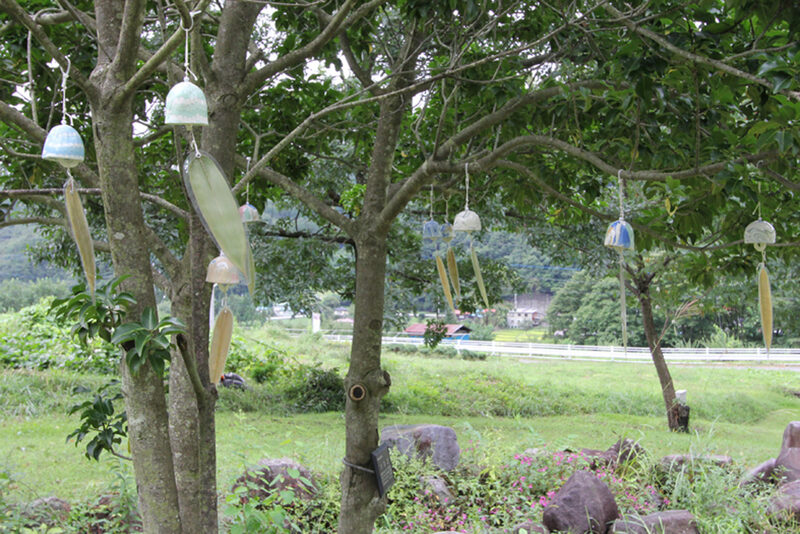 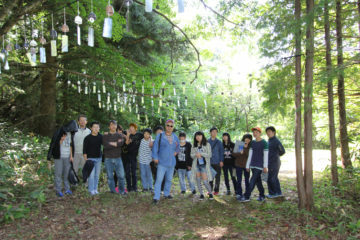 They are ceramic wind bells made by the students of Shirane Kaizen Junior & Senior High School in Kuni. 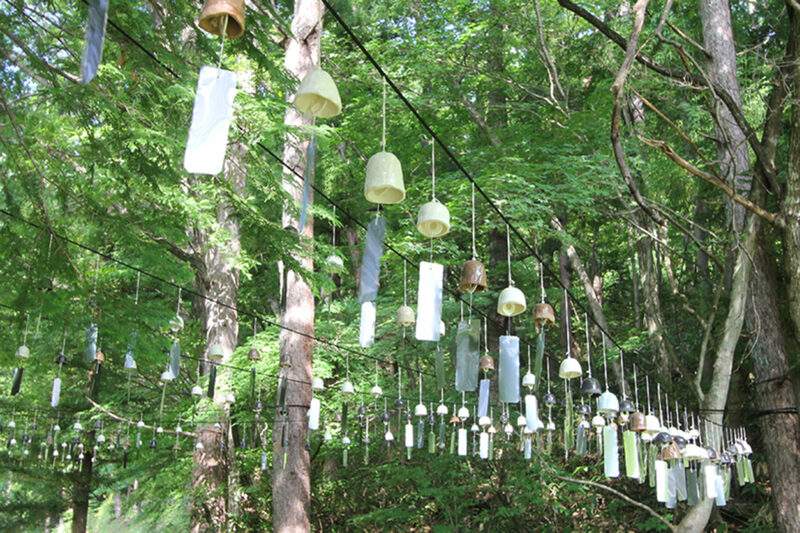 Their fancy papers will move in the breeze and lead the bells’ singing in a tune. 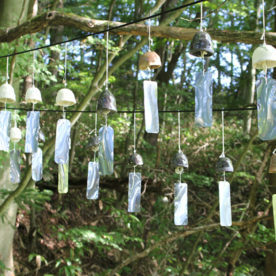 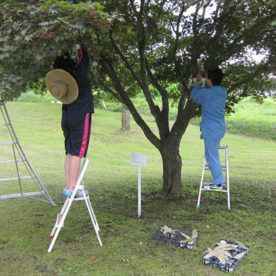 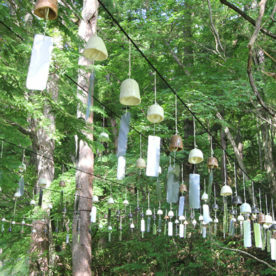 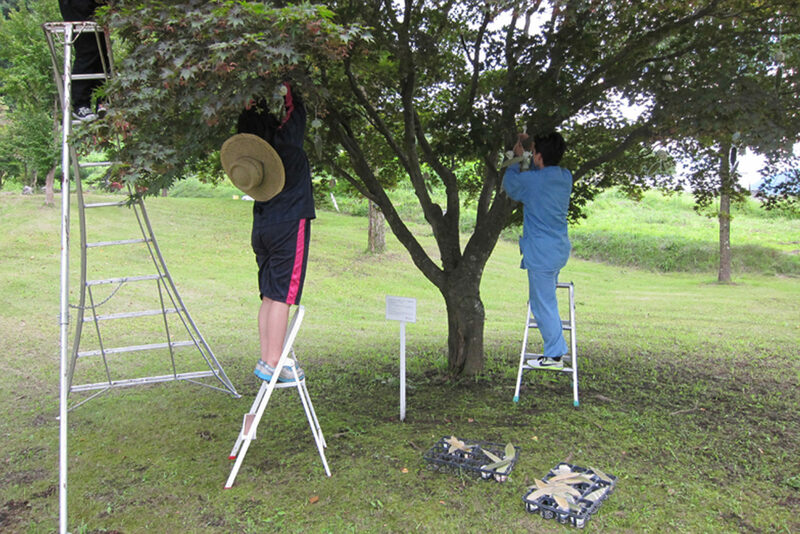 At an open space in Akaiwa, the breath of Nature set the hand -crafted bells in ringing.